I was approached by Dave Berry in 2010. Dave had an idea for a bamboo-bodied electric guitar that he wanted to develop. I’ve known of Dave since he ran the iconic Wellington music shop, Kiwi Music Co, and I was not going to let the chance to work on an guitar slip past. 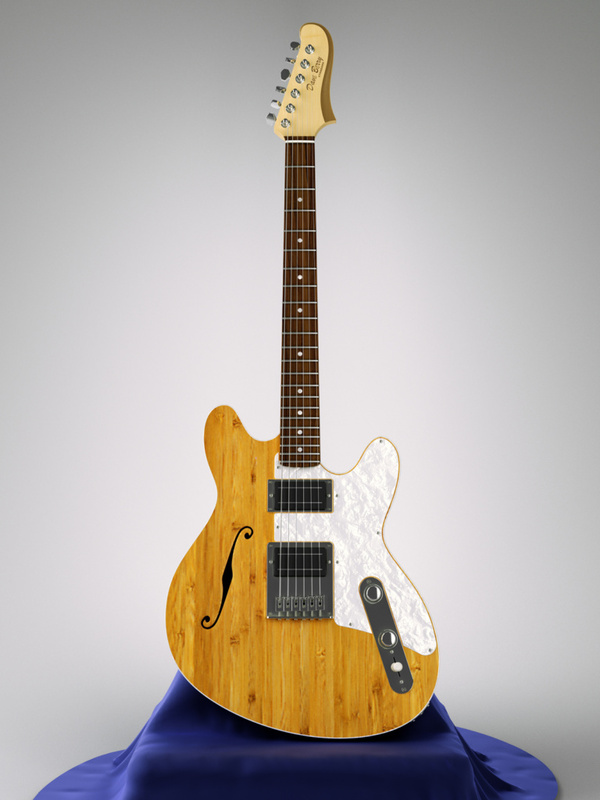 The guitar is loosely based on Fender’s Starcaster from the 70’s. I had a fair amount of freedom as to the layout of the controls and general forms of the guitar, resulting in a cohesive design. The body of the guitar is machined from bamboo block board, with a maple/rosewood neck. The guitar is a semi hollow body and bamboo suits this style of guitar. The pickups are a Bill Lawrence design and the electronics are designed by Dave. Mac’s brewery ran a craft competition in New Zealand and a few of Dave’s Model 1 guitars were on offer alongside other iconic New Zealand prizes. Mac’s filmed a short segment about Dave and the guitar.